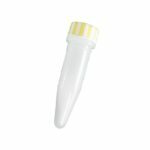 RINO® kits consist of our RINO tubes, which have a screw-cap so they seal more tightly and provide an extra layer of protection against sample loss. 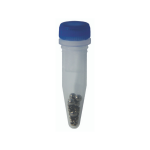 RINO tubes can be used in Bullet Blender® Gold 24 (BB24-AU) and Bullet Blender Storm 24 (BBY24M) units. 1.5 mL Green kits: Excellent for small medium-tough samples. 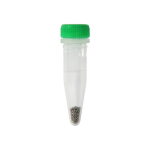 Green Bead Lysis Kits are filled with a mix of stainless steel beads for buffer volumes between 100μL and 300μL. They’re excellent for small samples of tougher material like muscle.